MOTUL FIM Superbike World Championship is set for it’s European return from 13th – 15th April, Pirelli and Dorna WSBK Organization are delighted to announce the Pirelli Aragon Round and Pirelli Riviera di Rimini Round from 6th – 8th July will be hosted in 2018. 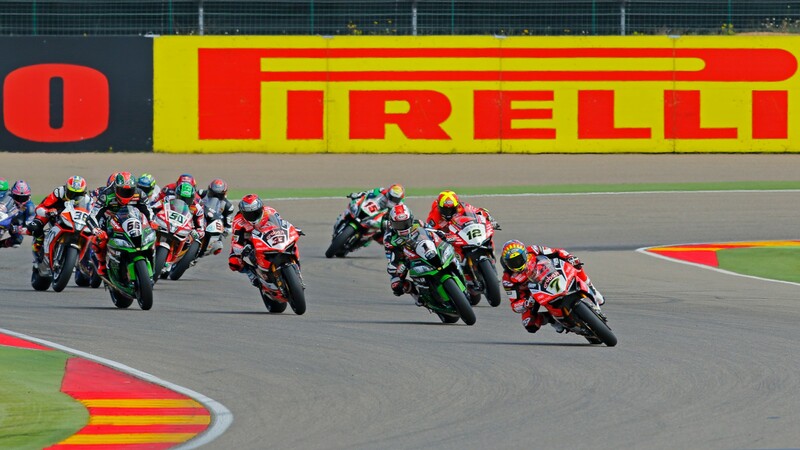 Expanding their support to the WorldSBK Championship, Pirelli will become the event round sponsors for two of the biggest weekends on the calendar, with Aragon hosting the first European Round of the season and Misano the final weekend before WorldSBK enters the summer break. Heading full speed into the busiest part of the season the unrelenting support from the Italian tyre supplier is an important asset to have into 2018. With a relationship expanding for 15 consecutive seasons, the technical partnership between Pirelli and WorldSBK continues to impress into 2018. With the motto of: “we sell what we race, we race what we sell”, it’s clear the importance of the quality of tyres Pirelli provide is of the utmost importance and is mirrored in every aspect of the company. MotorLand Aragon continues to be an important round on the WorldSBK calendar, and heading into the third round of the season with just nine points splitting the top three in the championship standings this season, the 2018 Pirelli Aragon Round will not be one to miss. Whilst the Pirelli Riviera di Rimini Round will be the final chance for riders to score points before the summer break, in 2017 we saw Marco Melandri make history as he took Italy’s 100th WorldSBK victory, so what will 2018 bring?